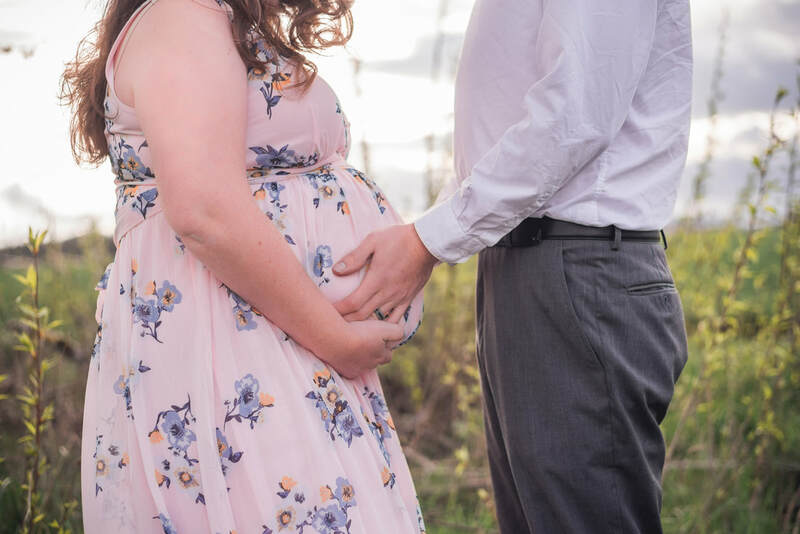 John and I met Sierra out at my family's farm for our maternity session. Be prepared for some stellar photos, all taken by SierraStorm Photography and then I had the opportunity to edit the images myself. I got a new lens yesterday and was dying to use it and since Peanut isn't here yet, Kona and Coal are my subjects. So be ready for some puppy-dog cuteness! First up is miss Kona. 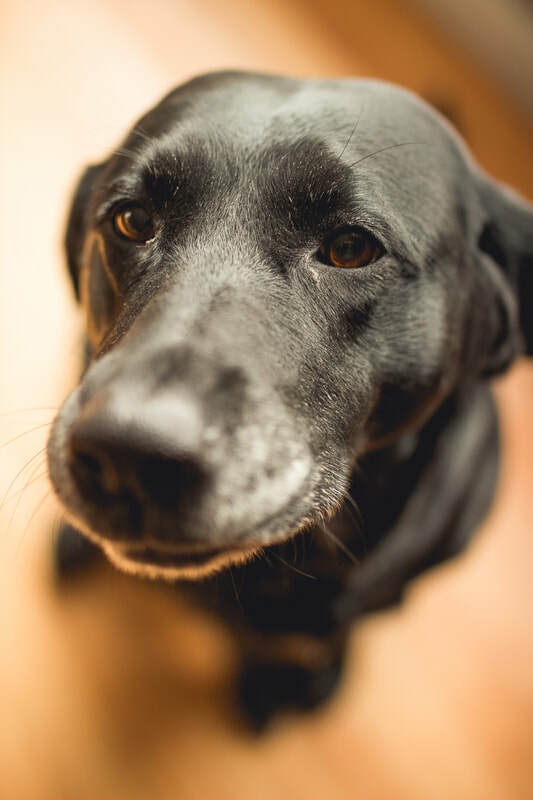 I just love her big brown eyes and how they match our hardwood floors. 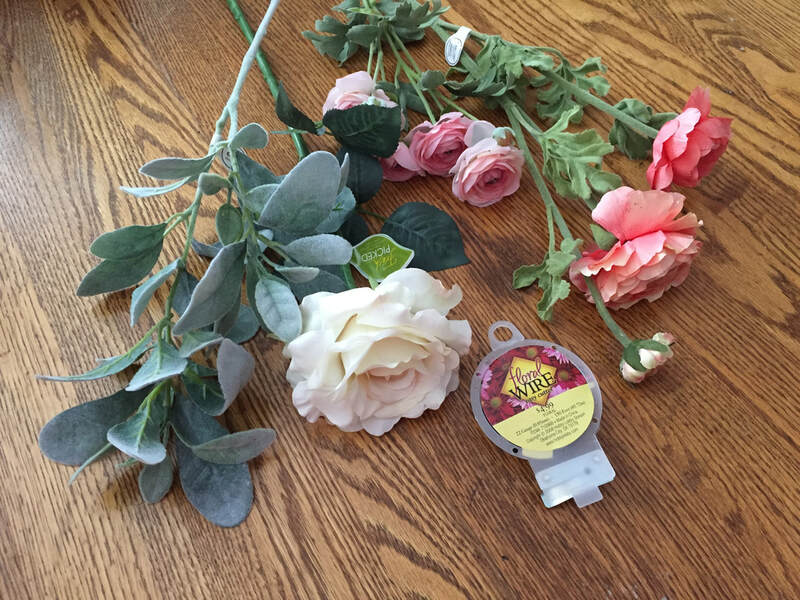 This week we're having maternity photographs taken by SierraStorm Photography and in preparation for the fun, I'm creating a faux flower crown! I thought that you might be interested in how I created this little masterpiece, keep on reading if you want to learn more! With Peanut on the way in a couple months, and the master bedroom finally painted and us moved in there, we are ready to start the nursery! When we first bought our house (nearly two years ago), we decided that we were going to get ourselves a queen sized bed, so there was no point in putting our full sized bed in the master bedroom. Fast forward a couple years, we got a queen bed and it didn't agree with my back, so we returned it. We have been living in the middle bedroom in our full sized bed for the majority of the time. 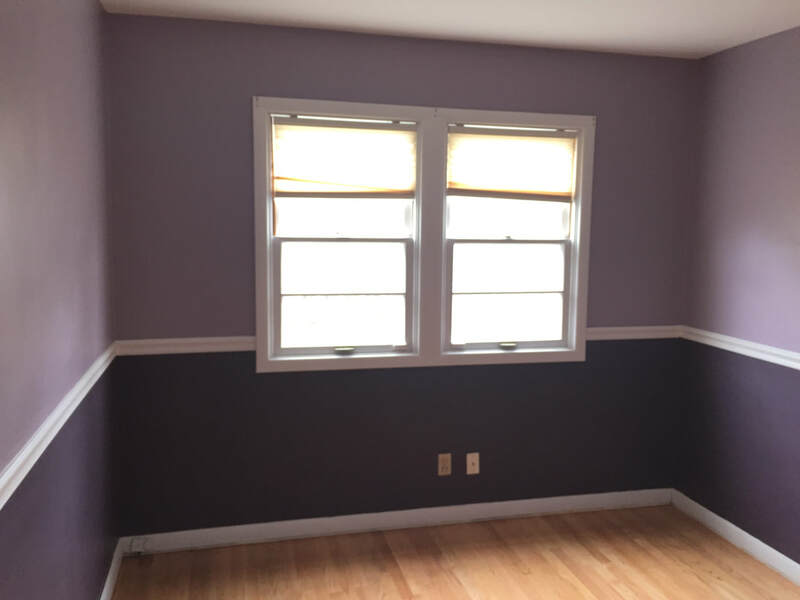 Here's the middle room, the purple room, from after we cleaned it out. It's not the largest room, but it fit our full sized bed, two end tables, a wing chair and our laundry hamper, plus room for the dogs to sleep at the foot of the bed. 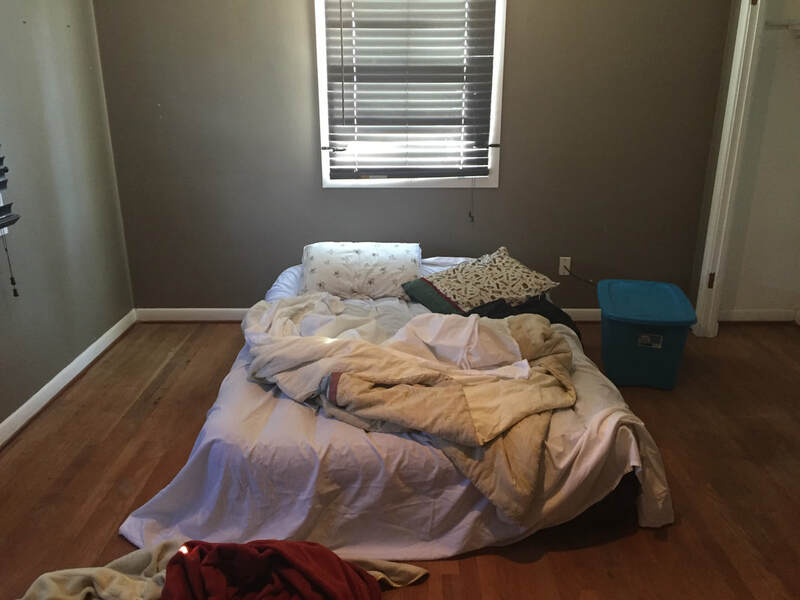 This is our master bedroom the first morning after closing on our first house. We threw our air mattress, some sheets, a blanket, and pillows in our rig before going in to sign all the paperwork. And on the way from Portland to Salem, I was on the phone with the garbage, electricity, natural gas, and water companies to get everything switched into our names. And now, after nearly two years, we finally get to paint the room and really make it ours! We decided to do a gender reveal party for our little Peanut. The card that the ultrasound tech marked went straight into a seal envelope and to my cousin's girlfriend who makes fantastic cakes! And I made some cute chalkboard signs to celebrate the occasion. 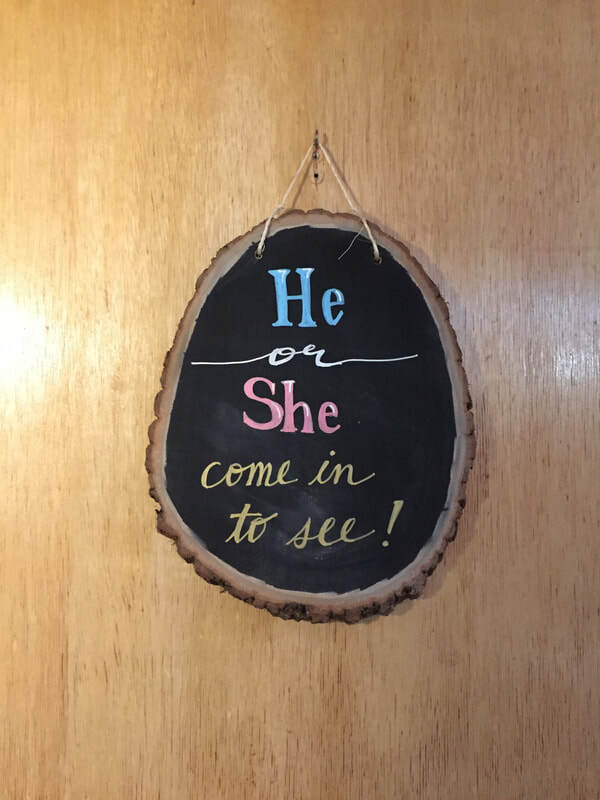 This is the sign you saw on our front door when you arrived for our gender reveal party. I made this sign from scratch with a wood rounder I got from my local craft store, chalkboard spray paint (and tape to preserve the edges), and an assortment of colored chalk markers. 20 weeks for any pregnant woman is a big deal. This is the time your baby gets their anatomy scan, making sure that the little one is developing and is on track for their age. With our 20 week scan, we found out a couple things, some of which really changed things for us. But first, some cute images the ultrasound tech saved for us. That's right! We're expecting a little one in May and we couldn't be happier. Everyday we can't believe that this little one will be joining our family. This post is back dated, because at this time we hadn't told anyone about little Peanut. We told our families about little Peanut at Thanksgiving, because the past two pregnancies we had miscarriages by week 7-10. 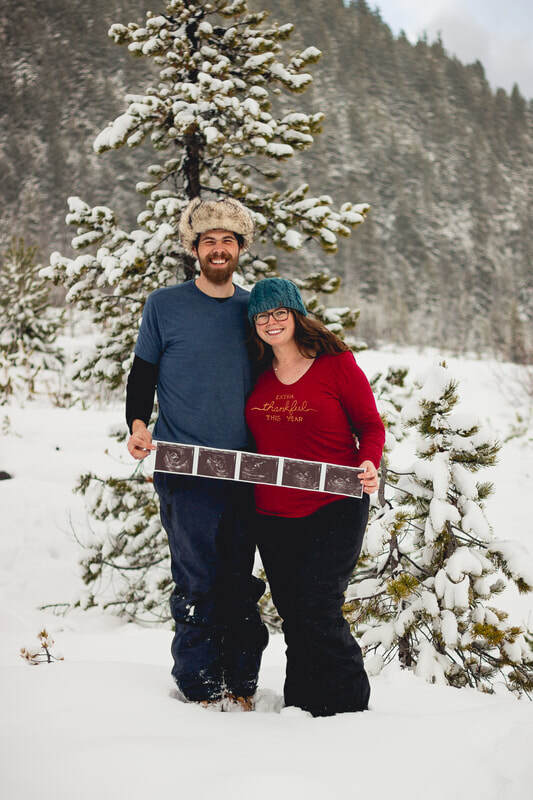 We wanted to make sure that we were done with our first trimester for any announcements. ​I'm a dog mom, mother to be of a little girl, and artist.